Alignex's partners offer SOLIDWORKS users access to integrated products and services that complement the use of SOLIDWORKS 3D CAD software further maximizing productivity. Gold-certified by SOLIDWORKS. DriveWorks design automation provides a quick and easy way to create custom products, reduce the cost of custom designs, respond quickly to sales inquiries, enhance product quality and reduce repetitive tasks. CAMWorks is a SOLIDWORKS Certified Gold Partner for Manufacturing/CAM Software and is a fully integrated CAM programming solution that automates the creation of toolpaths inside SOLIDWORKS. Gold-certified for SOLIDWORKS. iMOLD for SolidWorks is a powerful, completely SOLIDWORKS integrated CAMD tool for streamlining and automating the mold design process. Logopress3 is 3D progressive die design software that includes forming analysis/simulation and flat blank prediction. SolidNEST is an automatic nesting and NC programming solution that runs seamlessly integrated in SOLIDWORKS. solidThinking provides Evolve, a 3D modeling and rendering software, Altair Inspire, a concept generation tool, as well Altair Inspire Cast, Inspire Form, Inpsire Extrude Metal and Inspire Extrude Polymer. Smap3D Plant Design solves three key needs in one solution: P&ID, 3D piping and isometrics. Directly manipulate 3D mechanical structuring and piping design directly within the SOLIDWORKS workspace. TactonWorks provides product configurators integrated with SOLIDWORKS. Tacton products support manufacturers in generating custom configured quotations for sales and BOMs for order processing, as well as automating repetitive design tasks. ExactFlat is an add-in for SOLIDWORKS that automates the design and development of products covered in fabrics and made from composites. Camnetics provides SOLIDWORKS add-ons GearTrax, GearTeq and CamTrax64, all designed to help speed up your SOLIDWORKS development time. Equus Compute Solutions customizes white box servers and storage solutions to enable flexible software-defined infrastructures. 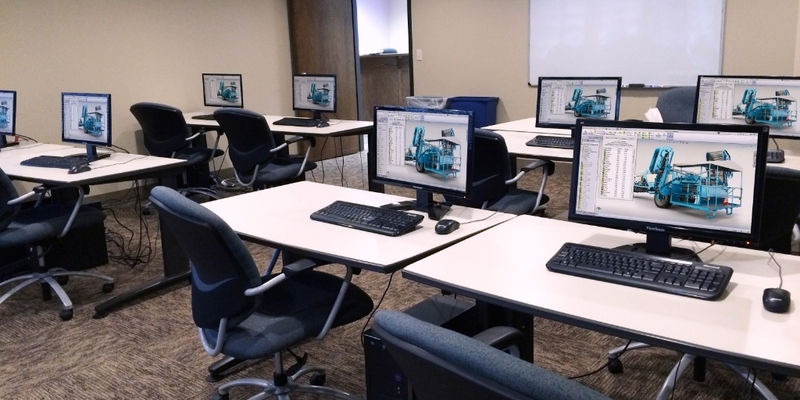 Extend SOLIDWORKS with specialized solutions from our partner providers. Learn more about how our partner product CAMWorks can help you save time and resources. A block diagram environment for model based development and multi-domain simulation.